The Solutions Life Cycle Management Standard provides information and processes for managers and decision makers who are considering purchasing new information technology solutions or services. 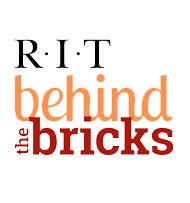 The standard defines required engagement with purchasing and the RIT Information Security Office and provides additional information about managing solutions from initial consideration of the solutions to their retirement. Provides critical vs. non-critical business continuity classifications. Requires the establishment of recovery point objectives, creation of appropriate documentation, and contingency planning for disaster recovery and business continuity. Provides disaster recovery and restoration requirements for IT support organizations.